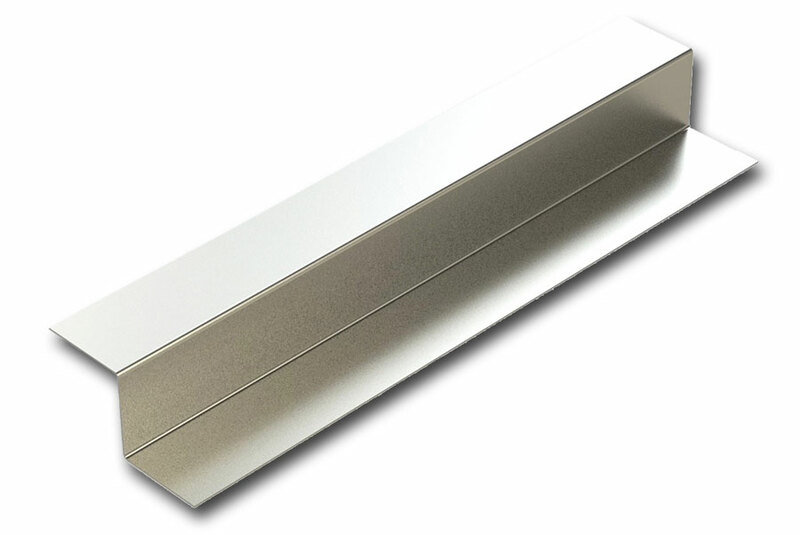 430 stainless steel custom Z-Channel #4 finish is the brushed finish commonly seen on kitchen appliances and backsplashes. 430 stainless steel custom Z-Channel #4 finish has a PVC film on one side to help protect against scratching during fabrication and installation. Our 430 stainless steel custom Z-Channel metal meets the criteria for both the #3 and #4 finish. If the 430 stainless steel custom Z-Channel #4 finish is under 48" long, the customer has a choice on which way the grain of the brushed finish runs (for a 10% extra cost). To choose the direction of the grain, select "Custom Length" in Step 3 and select any length up to 48". You can then select "Yes" on the Grain Direction Preference box. 430 stainless steel sheet metal is a slightly lower grade than the 300 series and is commonly used for applications when the metal needs to hold a magnet, which the 300 series does not. 430 stainless steel custom Z-Channel #4 finish is slightly more susceptible to corrosion since it does not contain nickel or molybdenum like the 300 series.